So your PC starts to lag suddenly. You open task manager and saw Service Host SuperFetch is using 100% of disk usage. You panicked thinking that superfetch is a virus and how you can disable it. If you disabled it then what changes will it make to my system, will it cause any system instability? Well let check it out. 3 Shall I Disable Service Host Superfetch? 4 Disable SuperFetch For Gaming? Superfetch is a Windows service which runs in background and analyze the RAM usage patterns. It keeps learning which apps you use most often and it mark these apps as frequently used apps. These frequently used apps are then preloaded in the RAM ahead of time. Now since these apps are already preloaded in RAM they will launch much faster. This is the concept of Superfetch. Overall SuperFetch tries to decrease apps loading time by pre-loading them ahead of time. Superfetch is not very important system service, If you have an above average PC with good RAM then you shouldn’t worry about superfetch. It would improve the app loading time. If you have a low end PC with 4 GB RAM then you might run into problems with superfetch. Since superfetch sits in background it uses some system resources. 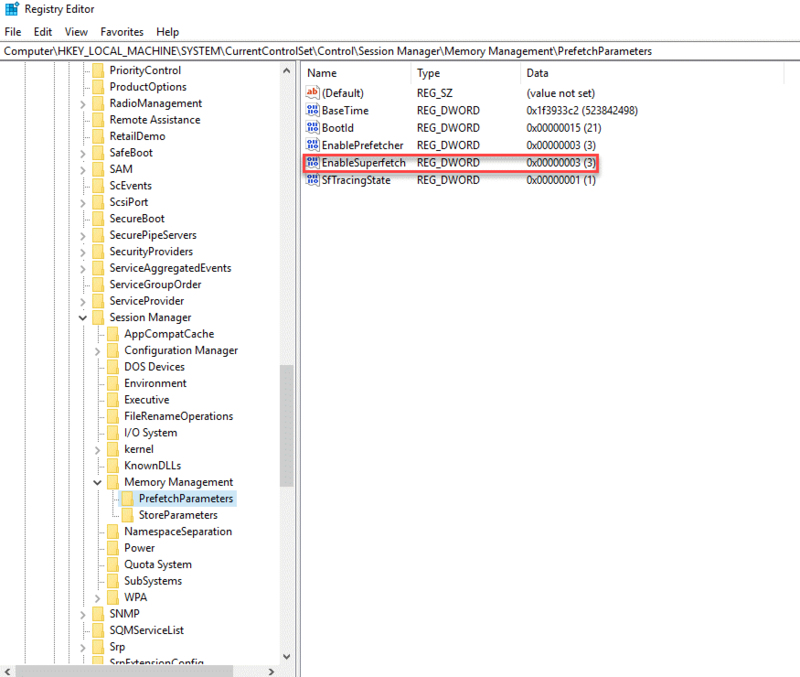 You might face High CPU/Memory usages in Windows 10 sometimes. Note – If you are using an SSD then you won’t see any different in the app loading time. Shall I Disable Service Host Superfetch? Superfetch doesn’t always cause high CPU usages. It’s how this service works, The services starts to fill up RAM with apps used frequently. Since the file size increases overtime, it takes time to sort the memory. If you face high CPU usages continuously then you can disable superfetch service, it won’t cause any system instability. Now lets talk about shall you disable this service for gaming. Superfetch has been know to cause performance issues while gaming. 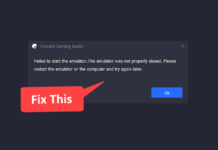 If you use your PC for gaming then you should disable Service Host Superfetch. It would optimize your gaming performance. 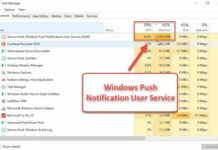 You can check below methods to disable this service. Below are few methods which you can use to disable this service. 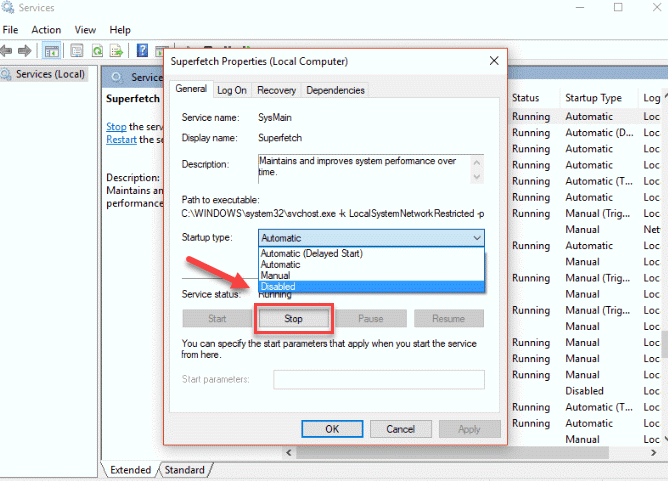 You can stop superfetch service using some command in the command prompt. Search for cmd in the start menu, right click cmd and select Run as administrator. In command prompt type : exe stop Superfetch and press enter. Now type “sc config sysmain start=disabled” and press enter. This will disable the superfetch service. In the run Window, type services.msc and press enter. This will open MS Services, here you will find list of services which you can start or stop. Now look for superfetch service, right click on it and select properties. In properties, select the start up type as Disabled. This will disable Superfetch service. Again Press Windows + R to open the run window. In the run window type regedit and hit enter. This will open the Windows Registry. On the right hand side you will find Enable Superfetch. Double click on it and set it’s value to 0. Right click on the PrefetchParametersfolder and select New > DWORD value. In the value section enter 0 and click on OK.
Now restart your PC and check task manager. The Service Host SuperFetch will be disabled. I hope you have successful disabled Service host superfetch service and fixed it’s high CPU usage. If you face some issues then do let me know in the comment section.